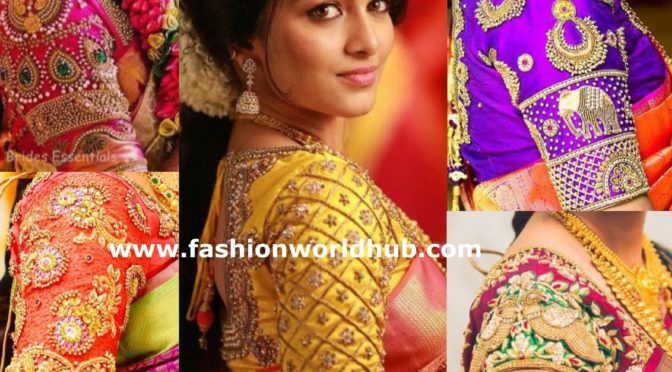 15 Awestruck maggam work blouse designs by Sruthi kannath!! 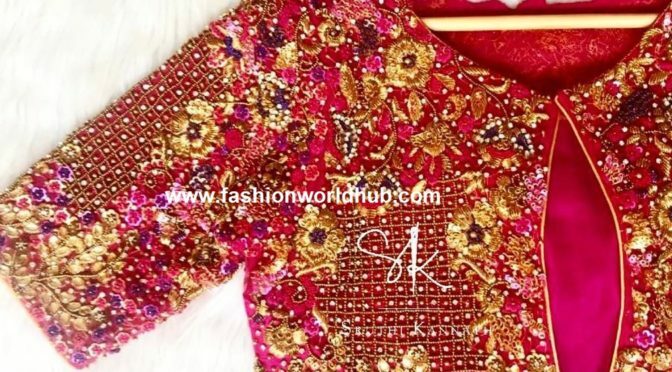 Looking for some mindblowing maggam work blouse designs with perfect and neat finishing work you may need to view the designs of sruthi kannath . She literally weaves the magic into in blouses and will ensure she give the best to the customers. 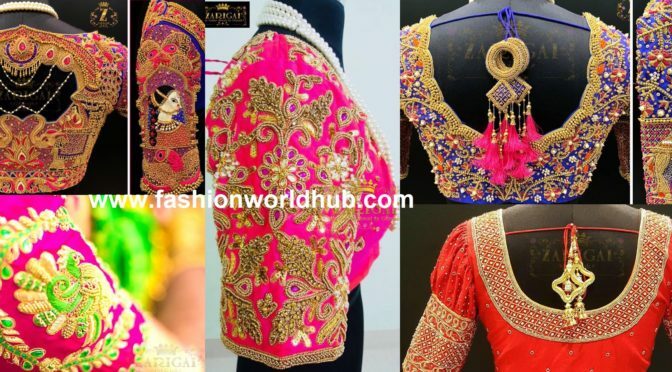 Here are some 15 Awestruck blouse designs from her fashion boutique stores.!! 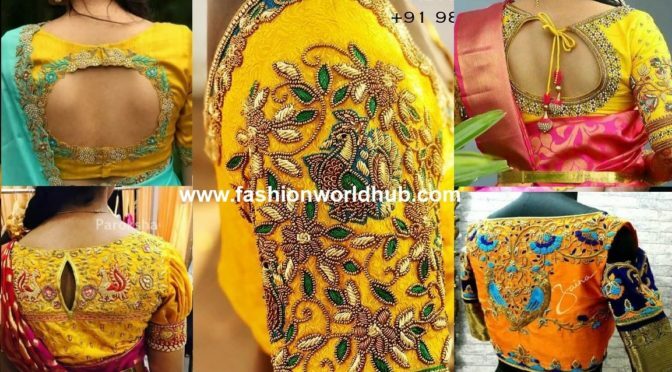 Collar Blouse Designs: The Unlimited Indo- Western look.